This morning, like every Friday morning, Jerry woke up at 6am to take the MAX from his Gresham apartment into town to help with JOIN’s weekly pickup from the Oregon Food Bank. It’s an unglamorous task that has to take place once a week to keep our kitchen stocked with the food that gets delivered to the homeless and recently housed families and individuals we work with. So every Friday morning one of our five Retention Workers takes a van to pick up fresh, frozen, and non-perishable food from the Oregon Food Bank to unpack into our kitchen at JOIN. It’s a considerable time commitment (am I allowed to say ‘huge pain’?). On my way to the Food Bank though, I meet Jerry at a Burgerville, buy us each a coffee and breakfast burrito and then we work hard lifting boxes and organizing food together for the next few hours. Jerry is an incredibly hard worker- while we were at the Food Bank today I was remembering how much more difficult this errand was before Jerry. He’s done this enough times that we work efficiently together- I go “shopping” for nearly expired yogurt, dented cans, and produce that didn’t quite make the cut in the grocery store while Jerry loads the van. In 30 minutes we’ve got several hundred pounds of food loaded. Back at JOIN we turn on tunes in the kitchen (Jerry chose Allison Krauss today) and chat while we put all the food away. Jerry jokes that he’s become the “poster child” of JOIN lately- and it’s true! I can’t stop celebrating his nearly five months of sobriety. Prior to this period, Jerry’s drinking habit kept him in a debilitating Dr Jekyl/Mr. Hyde pattern that made maintaining housing and relationships difficult. We all hated seeing “drunk Jerry” sobbing or belligerent and often had to kick him out of our day space for behavior while drinking. Through that though, JOIN’s relationship with Jerry remained constant. Yes, it would have been easier to permanently kick Jerry out of the day space for sneaking beer in and regularly causing a ruckus, and conventional social service organizations would have quit working on housing when Jerry was evicted for alcohol issues. But through years of struggling with sobriety, his relationship with Outreach Worker Ledena has remained a source of hope. 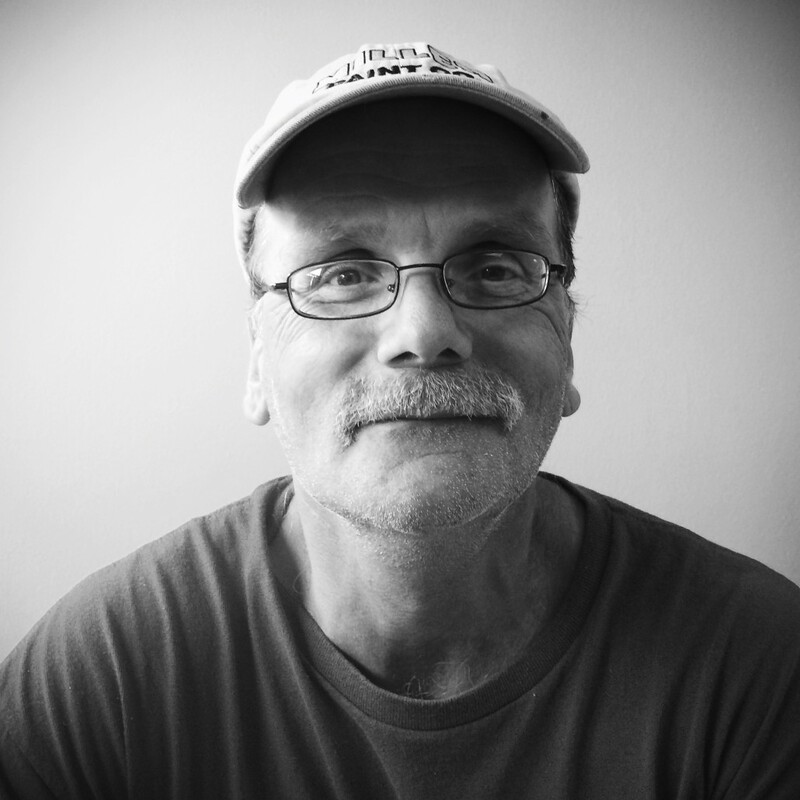 In the isolation that homelessness and alcohol dependency created, having a consistent, non-judgemental friend kept Jerry from giving up on life. Advocating for Jerry through the ups and downs I’m sure hasn’t been easy for Ledena, but getting to authentically celebrate triumphs together like these several months of sobriety and now housing is worth it. I am consistently amazed that I get to work alongside people like Ledena who so authentically embody the ‘relationship’ model and continue to work with people despite the system being largely unsupportive of addiction issues. Life is never as black and white and easy as we would like it. Relapses happen, and a poor decision or moment of weakness should not be punitized to the point of retraumatization. By accepting our folks where they are and caring about their whole selves- not just the ‘easy to work with’ aspects- we are committed to providing a supportive presence throughout life’s challenges. It’s this type of relationship that allows us to actually address chronic homelessness in individuals. There is rarely an easy answer, but having the flexibility, awareness and dedication to our advocacy efforts is the reason why we can have complicated stories of success like Jerry. I am proud of Jerry for putting in the work to be where he is today, and for his ability to stay committed to his goals. I’m proud of Ledena for never giving up on Jerry, and proud to be part of an organization that fosters these authentic and holistic relationships.